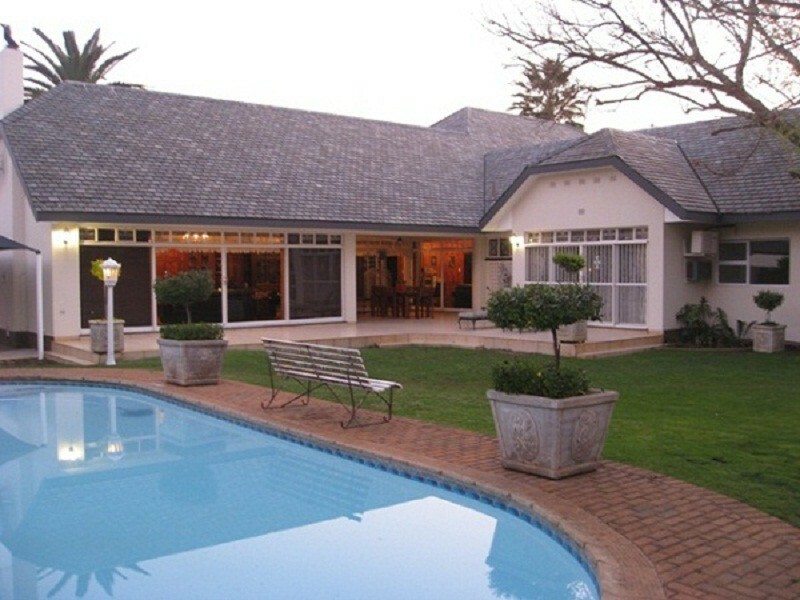 Elizabeth’s Manor Guesthouse is a beautiful Tudor style house situated in the heart of Potchefstroom. We are in close range of major attractions, i.e the Northwest University, Mooirivier Mall, Medi-Clinic Hospital, Mooimed Hospital, the Kenneth Mc-Arthur Stadium, Olien Park Stadium and Sedgars Park. Elizabeth’s Manor is ideal for business men, conference goers, lecturers, tourists and sports enthusiasts. We are also in walking distance of excellent restaurants. 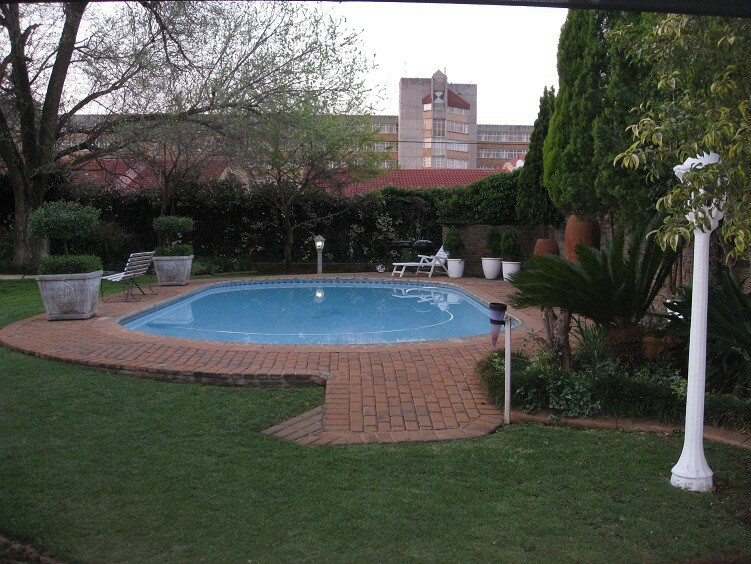 Elizabeth's Manor is a guesthouse in the CBD area of Potchefstroom. The Tudor Styled House was originally built in 1963. The Owner Lizette decided to renovate the once family home to a stylish but homely bed and breakfast . Lizette, the owner, went the extra mile when she decided on a theme for her Establishment. Because of the Tudor Style of the house she decided to name the Establishment after Queen Elizabeth and all the rooms are named according to that. 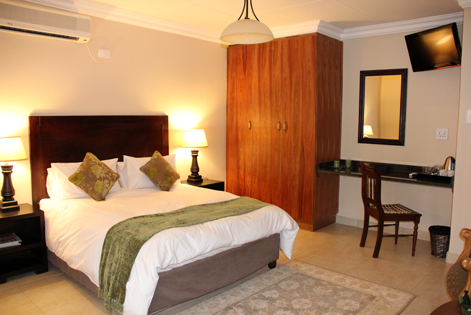 Our Guests have a choice to sleep in either the Royal, Queen, King, Prince or the Princess Rooms. 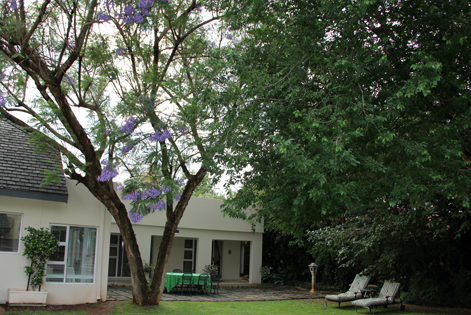 Although the house is situated in the CBD area it is very quiet and peaceful, for all the guestrooms are at the back of the luscious and tranquil garden. The pool and big grown trees invites you to sit down in one of the corners in the garden just to enjoy the birds and peacefulness. 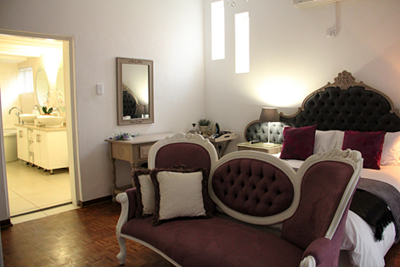 The Establishment offers our guests 5 Rooms which are beautiful decorated according to the latest trends. 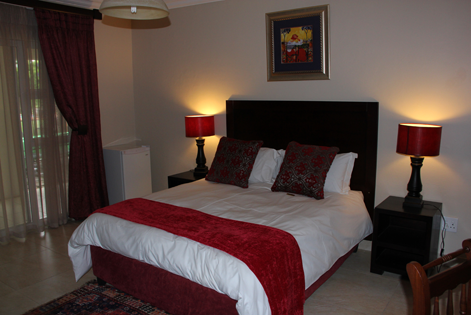 The rooms are outfitted with Queen size beds except for the Royal room of which the bed is a King size bed. 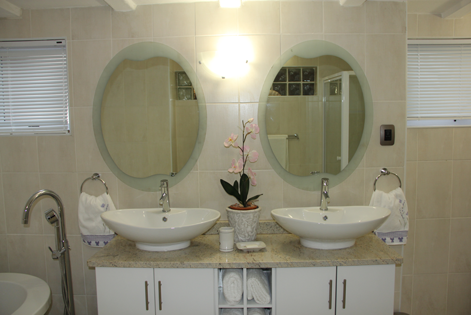 All rooms have en-suite bathrooms. Very modern and stylish with only the best. 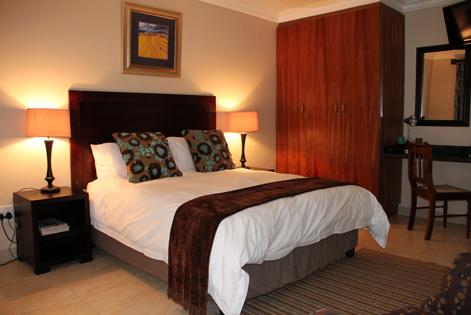 All the beds are made up with Percale crispy white linen. 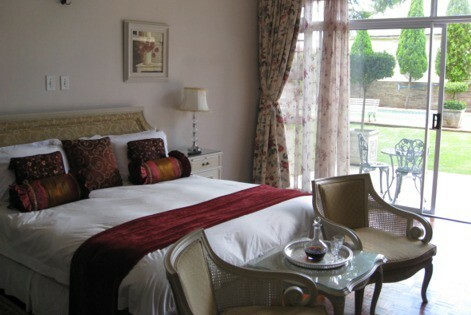 The rooms are big and spacious and overlook the garden and the swimming pool. Each guest will receive a remote control to park their vehicle under cover on the premises. All the rooms have there own private entrances. The rooms can be easily convert into family rooms on request. We serve breakfast every day and dinner or lunch on request. 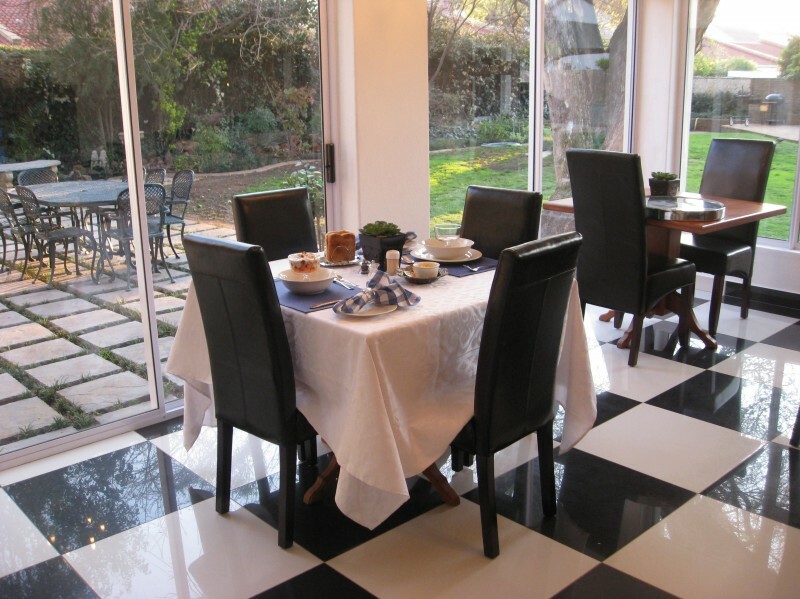 Small functions such as high tea’s and conferences can also be arranged. 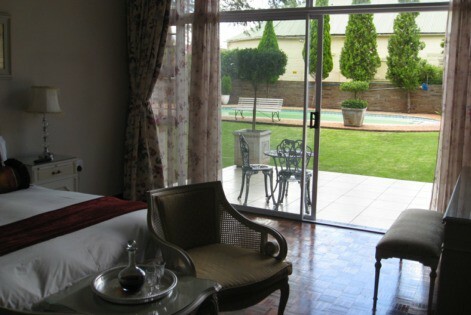 The Royal Suite as well as the Queen room is ideal for a bride on her big day or can be used as honeymoon suite. Lizette the owner invites you to phone or email her for any enquiries. Breakfast is personally prepared and served. Enjoy our full English Breakfast and Continental Buffet, consisting of a variety of fruits, creamy yogurts, cereals and porridges, pastries and breads, meats and a cheese selection and served in our special Breakfast Room. Room service can also be arrange on request. Dinner will be served on request only. Again it is “Home made food” also personally prepared for you.